How would you rate your experience with 1-800-Flowers ? 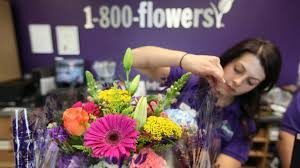 1-800-Flowers was founded by Granville Semmes and David Snow in 1976. The business went through several transformations and finally prospered when it was sold to Jim McCann, an owner of several flower shops, in 1986. 1-800-Flowers received national attention when it was featured in an ad campaign by AT&T that ran during the 1992 Olympics. The company also advertised on CNN during the Persian Gulf War, a time when the war coverage drew additional viewers to the station. The company went public on the NASDAQ in 1999 under the ticker symbol: LWS. In September of 2007, the company announced a partnership with Martha Stewart Living to produce a line of floral products inspired by Martha Stewart. 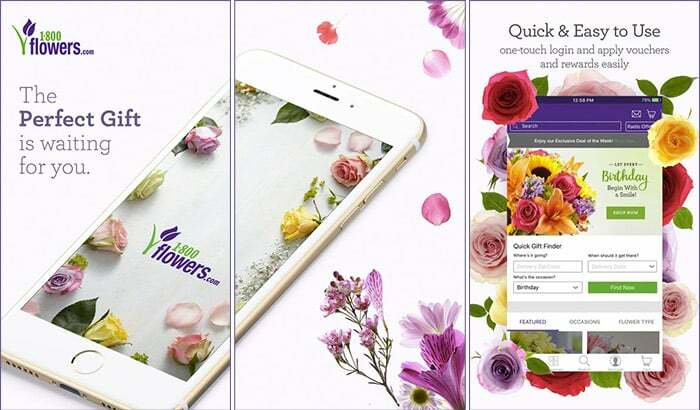 In August 2011, the company acquired Flowerama, a floral retailer with 100 locations in 28 states. The company has acquired numerous companies, including Harry & David, FineStationery.Com, Florists.Com, FruitBouquets.Com, and The Popcorn Factory. 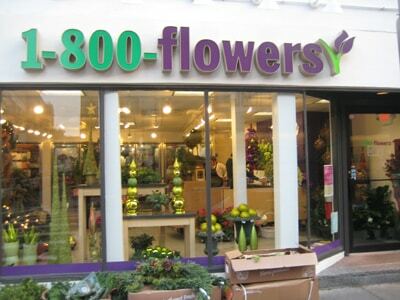 Today 1-800-Flowers is a floral and gift retailer and distribution company. The company has more than 4,500 employees and had $707 million in revenue in 2012. Question 1: What is the phone number for 1-800-Flowers? Answer 1: The phone number for 1-800-Flowers is (516) 237-6000. Question 2: Who is the CEO of 1-800-Flowers? Answer 2: The CEO of 1-800-Flowers is Christopher McCann. Question 3: Who founded 1-800-Flowers? Answer 3: 1-800-Flowers was founded by Granville Semmes and David Snow in 1976. I placed a order on 2/13/19 for delivery on 2/14/19 Valentine’s day half of my order was delivered ,But the second gift didn’t come and as of this email. I keep getting told that its on it way, today is the 22nd do the math. This is SO F up . How I wish I would have known about this site before I ordered flowers for my husband for Valentine’s day! They were not delivered so I had to ask him if he received anything which ruined the surprise. When I called them they said they would deliver it the 13th (one day late) but by the time I got off of the phone, they told me it wouldn’t be delivered until the 16th! I ordered the flowers on February 11 for a February 12 delivery…it should not have been a problem. The customer service was awful, they kept saying, “We hope you will let us make you smile again soon.” Ha! There were no smiles regarding this order. They gave us a refund but I used a Groupon for part of the purchase and they did not refund or send me a new code like they promised they would. They also refused on several occasions to let me speak to any supervisors and would not send me the corporate information via email. Every agent I spoke to could barely speak or understand English and did not communicate well. It was an awful experience. Don’t waste your money on anything this company offers! On 2/5/19 placed my order for delivery on 2/13/19 shipping to my mother for Valentines Day. I received order information from PayPal, but never thought about it since this was my 1st time with PayPal and it must all come from them. Called last night to find out about my order and why had it not been delivered. I spoke to a rep on the floor who had no idea of what she was doing, she put me on hold 5 times. I asked to speak with a supervisor and was told one would contact me and I would receive a an email ( I have not received any email about this) I sent an email to customer service last night with all the needed information to research this, even the email that I received from PayPal. What I did receive this morning was an email asking for my name, order number, my email address, my phone number who I sent it is, their phone number and delivery date, all this was in the body of the email that I had sent . I responded to the email with the information again that they were asking for. I also asked that a Manager contact me this time. What I received for a response was: I am sorry we couldn’t find your order, but I hope we can assist you in the future. Wow! Do you think I am going to order from this company again? I don’t think so! I do not have a gift for my mom who lives 2 states away. You have a very poor group of people representing your company. I would be ashamed. I will make sure everyone every place knows what happened. This comment is for 1800 flowers. Do not order from them! Wish I had seen these comments first! I also wish I could upload a picture of what was ordered and what was delivered. SAD… VERY VERY SAD! 65.00 gone. Buyer beware! I will NEVER AGAIN USE THIS COMPANY! On October 23, 2018 I ordered flowers to be delivered on October 24, 2018. On October 24th I received a delivery confirmation via email…but no flowers were ever delivered. When I questioned this via email to 1800flowers, This was the response I received: “Our local florist sent us a message that they have attempted a delivery yesterday 10/24/15 but the recipient was not home . Community was gated and they could not get through . Our driver left a message and we will redeliver when we hear from them.” That’s when true confusion set in! How does the driver know the recipient wasn’t home if they could not get through the gate? Where exactly did you leave the message if you couldn’t get through the gate? From this point on, I was promised delivery on the 24th & 25th. Well, today is the 26th and still no flowers? They again promised a delivery today. Who wants 3 day old flowers? The only concern of the Sales & service specialists was if when I got the survey, I could give them a good score because they helped me! I received no help from anyone at 1800flowers! They just take your money, deceive you and then try to tell you they fixed the problem! I will be contacting the BBB and will never do business with this company again! Thanks Gabriel. 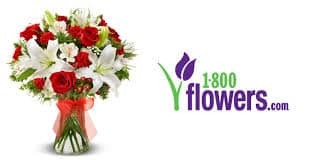 I indicated in my survey reply and at least one other reply to 1-800-flowers that a full credit and savings pass was NOT what I was looking for when I started calling on Saturday the 12th of May. I wanted to know “who” my wife’s flowers were delivered to since I received both an email and text message confirming delivery. I was told then by your Customer Service Rep that a replacement order would be processed and that my wife’s flowers would be delivered on Sunday, 13 May by noon and when that didn’t occur, I was told that they would be delivered still 13 May by 8 PM. Again – no flowers. When I called back yesterday, I immediately asked to speak to a Customer Service Supervisor and after 45 minutes on the phone, a supervisor never talked to me or returned my requested call. I also asked during that call if flowers could still be delivered on Monday and was told yes — again — no flowers. Thanks for the full credit and savings pass — but it would have been nicer if 1-800-flowers had lived up to their billing and delivered my wife’s flowers – or been professional enough to be honest with me and tell me at the very beginning of my phone call that all they could do was provide a credit. I have used this service for years — but will find it very hard to click on 1-800-flowers in the future, or recommend the service to others when asked. I hope that in the future your Customer Service Representatives try harder to satisfy your customer base and be more honest in what they can do when similar situations arise again. I had a very similar experience this year and won’t be a returning customer. See my email below and still no response to date. I would like start off by saying “thank you” for trying to make amends by sending a 2nd delivery as well as this coupon. However, with that said I will not be utilizing your services and I am not sure this will directly impact you, but I do want to share my reasoning with your management. I ordered flowers on May 9, 2018 from Greenville, SC for a good friend that had surgery in Phoenix, AZ. My friend sends me a text thanking me for the flowers, but to my surprise they are NOTHING like the picture. I contacted you all and I was assured you would make it right the very next day. A day later, I received an email delivery notification, so I ask my friend “how do your new flowers look” thinking they are pink and brightening her day. Later that evening, she explains she didn’t receive any new flowers, so once again I contact you all and apparently there was an internal error, but this time after waiting 20 min Arjun ( employee) tells me she will personally make sure they are delivered same day. I say all of this because in my last text conversation with Ken ( employee) he asked what he could do? I said “ I guess not anything, because I am sending flowers thinking they are looking one way and you all don’t care.” I then explained he needs to let management know of this ordeal. I placed an order for flowers from my mom to my sister on April 12th. I received an email stating my flowers were delivered. I called on the 17th to see if the recipient enjoyed them. Never received! I called 800flowers . Collins assured me he would take care of it that day. 18th still no flowers. On the 19th I called and spoke with Mark. I asked for a supervisor shockingly none were available. I left my number and asked to be called back. Surprise, no call back from 800 flowers. So I called and after a 23minute wait I was able to speak with John, a supervisor. He assured me that this was not my fault. A very odd thing to say, of course it was not. After 7 days of non delivery and non communication he eventually offered to credit me 50% and send me a $20 credit voucher for my next purchase. I laughed and asked that he cancel the order. He then asked if I would kindly respond to the survey and he would appreciate receiving 10s. I am not sure how your company works but I can’t tell you how disappointed I am in it. Then it took quite a bit of effort to find an email contact to send my complaint to. I guess this is how you do business. During my search I happened upon an old article in Forbes. I found it quite amusing that the number one priority is CUSTOMER Service. I must say I haven’t been this disappointed in a company in a very long time. I have placed my disappointment in social media and plan on sharing with everyone I come across the quality of your service. Please do not order flowers from this company. I’m so sorry I didn’t read any of the reviews below before I placed my order. The flowers my recipient received looked nothing like the picture on their website; were wilted, sparse, and much smaller than I paid for. After being strung along by their Customer Service reps who promised a redelivery that never happened, I gave up. I foolishly believed their ads and 100% guarantee. All lies! I paid extra to ensure a morning delivery for a funeral. I called to follow up and the Rep told me that it appeared the florist wasn’t able to make deliveries, should they reroute them for different day or address. I told her that wasn’t an option, so she said, “ok, I’ll cancel the order”. Incredible!!!! It’s a FUNERAL! The lack of empathy and responsibility taken from 1-800 flowers is unacceptable!!! I will NEVER use your company again!!! I have never been more disappointed with a Company than I am with 1800Flowers. I counted on your Company to delver flowers to my wife for Valentines Day and I still do not have anything to show for my efforts!!! I paid $200.00 for a really nice arrangement and nothing came on Valentines day….Nothing came the day after…I have nothing at 0400 am on Saturday February 17th…..Horrible…Disgusting….Terrible…….You will never have my business again!! There are no words to describe the lack of customer service and care towards folks that spend money with your company and are only offered empty, meaningless apologies when you cannot fulfill your end of the transaction and make a timely delivery. It is now 24 hours after delivery was supposed to occur, and I am the only one still working to make this delivery happen, the consumer. My job is done when I paid you $100 to deliver flowers. It should not be my job to beg you to call me, reach out to me, help me get this delivery done, which was supposed to happen yesterday. I have received no resolution. James McCann you should be ashamed of yourself. Every single manager at your company should resign. Because I’m the only one working on my order….that I paid you for. I’m beyond frustrated and dismayed at your complete lack of respect for your customers. I have been lied to for 3 days about flowers being delivered. They will not let me talk to a manger anytime I have called . I have sent flowers with this company 6 times in 3 months. Agreed. The lack of communication and empathy is beyond disappointing. I’m really confused as to why all of these complaints have not been handled. This company is a joke. I ordered flowers for a family members funeral on Friday morning at 9am. (Friday, 3/23/2018). I ordered the large Pink & White Sympathy Standing Spray to be delivered on Saturday, 3/24/2018 in Fort Madison, Iowa. I live in North Carolina. The private viewing was on Sunday at noon, so I wanted to ensure that they would be at the funeral home on time. Sunday morning at 11am, my father contacted me to ask where the flowers were from our family. I jumped on the phone to contact 1800flowers and spoke with one girl who was too busy trying to read a script then to get to the bottom of the problem. She out me on hold multiple times and then finally got back on the line to tell me that she contacted the florist in Iowa and that they, “Tried to deliver the flowers to the funeral home on Saturday, but the funeral home told them that they would not accept the flowers until the day of the service!” Now, the day of the service was Monday, 3/26/2018, but OBVIOUSLY I’m paying over $200 for flowers and they need to be there for the viewing! We went round and round until I started getting angry and asked to speak with a supervisor. This is when the bald face lying began. The Supervisor, who took a million minutes to go over the stupid script again about how sorry they are for my loss, blah, blah, blah…. finally told me the exact same thing as the girl before. Meanwhile, my father was in the office with the funeral director, who clearly stated that absolutely NO flowers were delivered to the funeral home on Saturday, nor did anyone “TRY” to deliver flowers on Saturday. I told the Supervisor that I don’t care what the reason was, but they needed to be delivered within the hour. He went back to say that the funeral home declined to accept the flowers. I told him to call the funeral home while I was on the phone. I verified the funeral homes phone number with him. HE LITERALLY TOLD ME THAT IT WAS A NON WORKING PHONE NUMBER!! I then put him on speaker and used my house phone ON SPEAKER to call the number and wouldn’t you know it, the funeral home director picked up on the first ring. She also stated that they never turn away a flower delivery for an upcoming viewing or funeral! After proving his lies, I told him to cancel the order and refund my money. He turns around and tells me that he cannot do that and that the florist will deliver the flowers on Monday since that is the day of the service. At this point, I was about to lose it, so I demanded that they deliver the flowers today (which was Sunday) since the viewing was starting. He turned around and told me that the LOCAL FLORIST WAS CLOSED ON SUNDAY AND COULDN’T DELIVER THEM! So, the entire time they were lying about delivering the flowers, lied about the funeral home phone number not working and now they flower shop wasn’t even OPEN!!! I cannot begin to tell you how infuriated I was and he then FINALLY decides to cancel the order and refund my money, which I still haven’t received and sent me a $20 gift certificate. Do you actually think I’m going to use a gift certificate to order from them again????? Absolutely atrocious customer service! Despicable! There is no such thing as consumer protection when Congress is bought by corporations. I ordered flowers in late April to be delivered to my mother in law in May 11 for an early Mothers Day gift. The order was never delivered, even though I had emailed for tracking info and called to chcdck the status. I have been back and forth since mid-May with NUMEROUS calls and emails back and forth where I’ve been told various incorrect info on my refund status. Apparently it’s “being processed” and no one at 1800flowers is concerned that his has been going on since May. I’m not sure why it’s so hard to process a refund for the payment I made on a product that was never scheduled or delivered. This has been the most inconvenient and awful customer service experience I have dealt with and I just want my money back. I don’t appreciate being told I was already refunded by a few reps, then being told I wasn’t but they would issue the refund, then being told that never happened and all the time being told that I received two $20 vouchers for future purchases so that should negate the poor service. Why would I want to do further business with your company? Taking money from a customer and never sending the order through is essentially stealing and I don’t think any customers should be stolen from. I am adding my dissatisfaction & complete disgust with 1-800-Flowers to the many I have read below. I ordered Mother’s Day flowers to be delivered to 3 different family members on Saturday, May 13. None of them were delivered. I had asked for email confirmation; I received one incomplete one. On Monday, 5/15 I called to complain & learned of the gross errors that were made. The one to Palm Springs had the wrong zip code, the one to Elmira, Oregon had the correct street address, but to Gardena, CA!! They couldn’t even get the state right!!!! The third one to Laguna Niguel had no explanation. After I corrected their gross errors, they assured me the flowers would be delivered the next day – of course they were not. Totally frustrated & angry, I looked up the corporate office & called hoping to speak to, yes, even the CEO. To my amazement there was no answer & no message service. I guess that tells the story. I think they all are hiding out in the Philippines! My resolution? I will call my bank & dispute the charges; I doubt I will get any resistance. Hopefully the company is defunct & will no longer give us problems. Their international deliveries are fantastic. Their local deliveries are almost always a mess. May 9 I placed an order for my son-in-law’s birthday, to be delivered May 11. I ordered a cake and flowers, which took at least 30 minutes on the phone. The cake was delivered to the wrong apartment. No flowers! I did not have an order nor confirmation #,since it is suspected that she sent it to the wrong email address. Therefore no one would help me and the supervisor refused to take my call. I was told to simply go to my bank and get my money back! After having been a loyal customer despite many delivery errors over the years, I’m incredibly disappointed and disgusted at how this once great company is steadily deteriorating I am done! On May 8, 2017 I ordered flowers and a balloon to be delivered to my mother’s house for Mother’s Day. I also ordered some sort of yearly passport service for $19.99 which is supposed to lower the shipping costs that I pay for deliveries. The total cost for the flowers, balloon and the passport service came to $97.22. The flowers & balloon were supposed to be delivered by 8:00 PM on Saturday, May 13, 2017. The flowers & balloon were not delivered. No explanation was given as to why my order was not delivered. I called the customer service department for 1800 Flowers. I spoke to some woman in a Third World country named Naomi. I told Naomi that I wanted a refund of $97.22. Naomi was not helpful. She offered me a partial refund of $21.36. I contacted my credit card company and I disputed the charge. I told my credit card company not to honor the charge/purchase that I made with 1800 Flowers. I will never do business again with 1800 Flowers. I will badmouth 1800 Flowers every chance I get. You guys are a freakin’ joke! You ruin people’s Mother’s Day and want to offer a freakin’ “savings pass” to insure that I spend MORE money with y’all to think I’m getting a deal or “credit”. I’m not stupid and I will NEVER spend another penny with y’all EVER AGAIN!!!! I will make sure as many people as I can reach through facebook, twitter, Instagram and whoever else, know how y’all treat your customers, the lack of customer service and poor quality of what y’all deliver!!!! THEN I will report y’all to the BBB! Again 1-800 Flowers did not keep its promise. I received 2 dozen dead roses for my wife’s Mother’s day. They said they would replace and issue a $20 credit. Never came but said I could get them next week. It’s after Mother’s Day. No help. They are off shore and cannot give corporate US information. They really do not care. DO NOT USE THIS COMPANY AS THEY ARE A RIP-OFF and did not keep their company. I ordered flowers got them Friday the were dying and wilted. Call the customer service and told them the problem. The person on the phone was very hard to understand. I asked to talk to a manager and was put on hold for 35 minutes then they disconnected the line. Called back and finally got a manger on the phone he said he will look into the order and call me back in an hour to an hour and a half. After 3 hours he never called back so I called the 1800 number back and was in the line for 45 minutes trying to get it resolved. Had to settle for a re order that was going to come after Mother’s Day. No happy. Then the called me today in the morning twice and told me that the flowers would be here today 5-13-17 by 7 pm. They did not come. So I called them and ask to take to a manager and was put on hold for 47 minutes and then was told they were to busy to take my call. Over the last to days I spent about 3-4 hours trying to get this handled. Not very good customer service to me. Plus the customer service persons are very hard to understand and don’t understand you when you are talking to them. Right now I fell I will never use 1 800 followers again. Very very unhappy with this. If its any consolation, there acquired branch of Harry and David just did the same thing to us on Mothers Day. At least they are consistent, to bad it is in a negative way. I will no longer order anything from either company. There are plenty of online companies and local ones that will do just fine. I can in to send a note, but after reading all the complaints I would be spitting in the ocean. So my words are to my fellow patrons with sympathy and support. “we’re very sorry for your order experience with us wasn’t everything it should have been. We apologize for the inconvenience this has caused and hope you’ll trust us to serve you in the future. Sincerely Maroscel Sebastian, sales and service specialist”. I have not seen one good review on 1-800-flowers and feel it is a complete scam and I will be reporting them to the Better Business Bureau for fraud. COMPLETE SCAM ARTISTS…. Hi requested a delivery of flowers on 3/27 for a new mother. The order never arrived. I sent multiple E-mails and had numerous phone calls with representatives. They said they would send another order in ONE WEEK! Not acceptable. Additionally, they put an unrelated name on my order! They said it was a communication error. Obviously. I finally cancelled the order and went with a local florist who sent the order within three hours. I will never use your service again. I will also advise others. Very poor. 1800Flowers is a large useless corporation. When you call to place an order, the call is redirected to the Caribbean. This is where Maryann totally screwed up my order. My $145.00 order is now $280.00. I tried to order 3 dozen roses, this person charged me for a dozen 3 times. I have been on hold with corporate headquarters for over 30 minutes. On Feb 10th I logged on the the site and ordered the Personalized Red Rose for Valentines, to make a long story short customer service is/was willing to work with me and give me $20 discounts for future purchases because they’ve made mistakes. But here we are March 3rd and I now have a collection of (3) pink, Not Red Roses ordered after talking with them three times. At this point I’m betting that the love of my life will get a dozen pink roses before she gets her red one. Because I’ll keep calling. I am writing these comments because I am dissatisfied with the services provided by your company and with your customer service team. I have sent emails and I have called your customer service representatives with no real resolution to my situation. I went online 2/13/17 to place a very special order for my wife to be delivered on Valentine’s day, I ordered the straight from the heart bouquet and the Sweet Desire Fruit bouquet – seemed like great products by the way, additionally I was impressed with your company’s ability to receive and deliver my order with a one day notice. Wow” was I ever let down, the order arrived on the 15th not the 14th as guaranteed and not only was the order late but it was completely the wrong order, instead my wife received the Magnificent Rose bouquet. Within a couple of days I emailed your customer service department and patiently waited for someone to reach out to me, that never happened. Today 3/1/17 I took the initiative and called your company’s customer service department to report the issue and ask for a complete refund. The customer service representative answered the phone and identified himself as Joseph, I explained the entire situation to Joseph and asked that I be refunded for the total amount of my order, Joseph responded with that because I had not contacted your company within 7 days that I was only eligible for a 50% refund, I then reiterated that I emailed within a couple of days and that I was calling because I had not received a response, he apologized and restated that I was only eligible for the 50% refund – I then asked to speak with a customer service manager/supervisor. Customer service supervisor identified himself as Nicholas and proceeded to tell me that I received my order and that I am dissatisfied with my order and that as he understood things I waited well beyond the 7 day grace period to reach out and voice my dissatisfaction with my order, he then began saying hello into the phone to see if I was still on the call at which point I let him know that I was waiting for him to finish speaking and that I would explain when he was done. After he finished I then explained to him the same situation that I had explained to Joseph and I also emphasized that I had contacted your company via email with the 7 day grace period. Very disappointed – I did not receive my order on the day I paid for and guaranteed delivery date and the completely wrong order was delivered. I just want to say I am extremely displeased with the level of incompetence 1800flowers has shown me over the past two weeks. I have contacted Customer Service on numerous occasions regarding their failure to deliver a product on two separate days. When I demanded to be refunded the purchase price of the item I originally requested, I was told it usually posts in 24hours but could take three business days. We are now on day ten and my bank has yet to receive a re-credited full amount from your organization. I am a very busy individual and do not have the time or desire to wait on hold for unreasonable amounts of time to speak with representatives who just tell me to “call back”. 1800flowers is a sloppy establishment and my having to wait a ridiculous amount of time to be reimbursed is insane. Furthermore insinuated guaranteed delivery the next day is false advertisement. More importantly accepting payment of a product they did not deliver and failing to reimburse funds in a timely manner is FRAUD!I will also be reporting this incident as such to other necessary regulatory agencies. I don’t understand why they think a consumer has time to keep calling and emailing to ensure a company follows through with completing the task that I pay them for! I have wasted time speaking to two supervisors who failed to deliver their promises. The first supervisor claimed I would receive my product the next day and when that wasn’t done and I asked for my money back; the following supervisor claimed I would be reimbursed within a specific time frame which also was not done. The only thing I want is my money deposited back into my account immediately (I don’t know there is such a level of difficulty achieving this simple task when they did not have a problem taking it immediately from my account) and I want to never have to contact this company again because the level of professionalism is less than satisfactory. They also claim there are no confirmation numbers or trace numbers for a money transfer which is something I never heard of a company not providing upon request. FYI: I’ve contacted the Better Business Bureau/Consumer Affairs and FTC. Over the past 6 months, the quality of service from 1-800 Flowers has gone dormant. I ordered in advance Valentines Day flowers for my 90 + year old mother in AZ. The flowers were to be delivered on Saturday the 11th. I received an email confirmation of delivery. Called my mom on the 14th and found she never received the flowers. Started contacting 1-800 flowers. They kept being hung up on the fact that the flowers had been delivered to a neighbor. Two different delivery times were provided and they cannot tell me which neighbor. After 5 contacts, still unable to reach a supervisor, they are “redelivering” the flowers. Take your business elsewhere. I wish I had read all of these complaints before ordering my flowers. I sent some for valentines day which was NOTHING like I ordered. What was received was something that was just thrown together. Then they said well we do a re-deliver. The re-deliver looked just as bad. So very upset. This company is a scam and I have been telling everyone not to ever use them. I emailed and complained but all I got was a $20 off. Are they crazy. I’m never giving them anymore of my money. I ask for a refund but now nobody is responding. Shame on Christopher McCann who is the CEO of this company to operate like this. They are a bunch of scammers. Stop with that slogan putting a smile on your face. BEWARE!!! Doing business with this company is an ABSOLUTE NIGHTMARE BEYOND WORDS! At 10 AM I placed an order for a same-day delivery (for an additional $ charge) of a sympathy arrangement for one of our co-workers. When I checked that night (11 PM) for confirmation of delivery, it was STILL IN A PENDING STATUS! I had not been notified of the status by 1800Flowers. I spent an hour on the phone trying to get some answers and resolve the situation with a customer service rep from the Philippines who would never connect me to a supervisor (“the supervisor is busy right now, ma’am” ). Instead, she put me on extended holds multiple times. When I asked for a full refund due to their mishandling of the order, I was told it would only be 75%. The order was rescheduled for delivery the next day (Saturday) between 9 am – 11 am and I was told a customer service rep would call me at 9 AM Saturday morning to confirm the order would be delivered. 9 AM arrived and do you think I received a phone call? NOT!!!!! Instead, I made another call that connected me once again to a customer service rep in the Philippines who informed me that the order was STILL PENDING CONFIRMATION FROM THE FLORIST!! When I asked to speak to a supervisor, the c.s. rep gave me the same speech that he/she “is busy, ma’am”. My frustration level soared as she kept repeating her scripted responses and I wound up in a shouting match with her demanding that I speak with a supervisor. After almost an hour, and multiple holds, I was FINALLY connected to a supervisor and she admitted that if I had not called to inquire on the status of the order, the flowers would STILL BE IN A PENDING STATUS!! Whose job is it to track the status of the orders! If it’s the customer’s responsibility to do the tracking, I should be getting paid by 1800Flowers for doing THEIR JOB!! The supervisor also told me that the order had been resent to the original florist who didn’t send a response/confirmation the first time around! She contacted other local florists and I was told that the earliest delivery would now be 3 pm (24 hours later than the order was supposed to have been delivered). Needless to say, she agreed that the total amount of the order ($109.05) would be refunded and a additional floral arrangement would be included in the delivery. The next thing I know I receive a credit confirmation for the WRONG AMOUNT! Instead of the $109.05, I received a credit for $102.34???? This has led to a series of emails back and forth with customer service (I will not put myself through the frustration of contacting their call center again!) and I have still yet to receive the remaining refund amount due to me. And based on the myriad of problems, mishaps, and atrocious customer service I have had to deal with, it wouldn’t surprise me if I never receive it. In turn, I will be telling everyone I know NOT to do business with 1800Flowers….EVER!!!! I purchased a gift certificate from a charity to use for a large order I was planning to make with 800flowers. I ordered over $950 of flowers to 14 customers of mine for Christmas and not one was delivered. When I called to complain, after 8 calls 20+ hours they offered me $748.82 credit to be used for future orders. All because I didn’t have the original gift card number. Are they nuts!!! You no goods ruined my father’s Christmas whose alone on holidays! I’m furious my flowers were not delivered as promised. And their 800 number sends you to the Philippines even after demanding to speak to somebody in the United States they claim they have no number for anybody here. This is a total scam, do not use this company’s “service”. They said they would refund my money 7 to 10 days but worried they stick it in their own dirty pockets. What is wrong with you people it’s Christmas for God’s sake! !!!!! WHAT A HORRIBLE HORRIBLE COMPANY…..CANNOT EVEN PLACE AN ORDER….THANKS FOR RUINING MY HOLIDAY…BUNCH OF ABSOLUTE IDIOTS…….SHAME SHAME ON 1800 IDIOTS R US……. What is wrong with 1800flowers? They are the most incompetent company I’ve ever worked with. I ordered anniversary flowers to be delivered to my wife at her job, they sent me a page to track the order and by 3pm they still hadn’t got to her work (she gets off at 4pm and I ordered them more than 24 hours ahead of time on a non-busy time of year). Anyway, I called to ask what’s happening and they didn’t know so i told them to cancel and they said they would and would send me a confirmation email within a couple hours. To make things worse, they asked if i wanted them to contact my wife to apologize for the flowers not getting there. I said absolutely NOT and said it 3 different ways and explained why i don’t want her to know that i’m trying to send them because it’d ruin the surprise. Well sure enough 2 hours later she still got a call from them asking if the flowers were delivered. Why the heck would you call the recipient of flowers to ask if they got them or not; totally ruining the surprise??? It’s now been 2 days, they still haven’t sent a confirmation email and i’ve talked to 4 people who said they would and lied to me more than once about how I should get it within 2 hours. I have a feeling they won’t be refunding me within 7-10 days either and I will have to waste more of my valuable time dealing with there call center rotation. SO annoying. Never again. Do yourselves a favor and avoid 1800 flowers at all costs. They won’t even let you speak to the delivery people either because they’re a middle-man for them, so you have no idea who is delivering flowers and have no one to complain to but some call center in another country who just reads a script to you. Aweful aweful aweful!!!!!!!!! The flowers we ordered looked NOTHING like they were suppose too!!!!! After complaining they called the person I sent flowers to and asked for her to bring the vase back to them!!! The craziest thing I have ever heard!!!! Word of Advice to 1-800flowers know who your sending your work too!!! Your customer service is realllllly bad!!!! Never again will order from them or there third party!! So 1-800-FLOWERS.. This place is a f-ing joke… we ordered $89 Cosmipolition bouquet of flowers on the 13th.. they said they would deliver on the morning of the 14th next day delivery. Then they call and say it will be the 15th… ok a lil upset but manageable.. then they call on the 15th and spoil the surprise to tell the recipient that they won’t be delivered that day but the following morning, the 16th to her home. Then the 16th comes and no flowers still!!! We call to get an update and the rude call representative wouldn’t refund any of the monies and straight cancelled the order without permission. So now it’s the 16th and my poor sister still hasn’t received her flowers!! Never use 1-800-FLOWERS for your flower needs!! They are a f-ing joke of a company, rude and not suited for customer service at all!! This was posted on social media for the world to see!! I just wish I had read all these comments prior to ordering ! Although I do have to say my first order on Mother’s day was fantastic,. Maybe Because I had them delivered 2 days earlier? But my recent order for my Mom’s birthday was NEVER delivered! I wanted them to arrive 3 days before her Birthday but they never got there. No email or phone call saying they weren’t delivered! Had I not called to ask where the flowers were the would not have ever arrived…3 days later I was offered a refund of delicate and a 20 dollar gift certificate, which won’t arrive for 10 to 20 days! I think you need to review what’s happening in your company! Horrible! Not refund og “delicate “… refund of delivery charge! I will never use this service again. I ordered both my mother and my mother-in-law the same arrangement for Mother’s Day. My MOA received the arrangement the day before mother’s day and it was exactly what I ordered. My mother did NOT receive any flowers at all, so I called the customer service number. I was told that they were really sorry and that she would get the arrangement that I ordered but that she would get them the day AFTER Mother’s day. I was very upset, and the customer agent said that they were going to 1. issue me a refund for my mother’s arrangement because they would NOT be there by Mother’s Day. And 2. that they would send the arrangement that I ordered regardless of the refund. Then my mother received an arrangement of flowers that were TERRIBLE and NOT EVEN CLOSE to what I ordered. The arrangement had white roses, babies breath, ONE pink carnation thrown in I guess for good measure with a burlap bow??????????? ?Are you kidding me?? I ordered a large “beauty in abundance” arrangement!! The description for that is as follows: an abundance of coral, pink and green roses accented with rich purple blooms. The link is below in case you don’t know your own products. So I called back and complained and was told that there was nothing they could do b/c they had refunded my money. ABSOLUTELY NOT…you refunded my money b/c you said you were going to miss Mother’s Day. You then sent a the scraps from the florists floor to my mom i guess b/c you didn’t think i would mind. I was finally told by a “supervisor” that the arrangement i ordered would be delivered on the 10th. I also received an email stating the same thing. It wasn’t. I called back….you gave me the same song and dance about the refund and the arrangement that was delivered. I painfully rehashed all the details above and was once again told the arrangement i ordered would be delivered to my mother. i also got another email stating the same thing. They WERE NOT DELIVERED. I have sent yet another email to your customer service department with pictures of the arrangement i ordered and the arrangement my mom received. Is there anyone in your company that understand customer service?? I want the flowers i originally ordered sent to my mother. WHY IS THAT TOO MUCH TO ASK OF YOU?????????????? Your company is absolutely the worst! I finally got all my money back but I will NEVER order from you again! You can keep your savings pass as I won’t be using it either! You cannot apologize enough for what you have done to countless people this Mother’s Day! My mom is 82 and her sister 86 and they and her daughter were all supposed to get a beautiful Mother’s Day 4 box tier in pastel colors of cookies, pretzels and brownies! I spent the entire weekend (my Mother’s Day weekend!) instant messaging your people on Facebook and I’m not supposed to be stressed right now because I am batteling breast cancer! Not to mention who knows if my mother or aunt will be there next year for Mother’s Day! How dare you put me and hundreds of others through this on Mother’s Day! Maybe if you brought your company and customer service BACK TO AMERICA you wouldn’t have all these problems! Just despicable! What you sent as a replacement I could have bought at a grocery store and four days later! I called three times today and asked for a supervisor at corporate the first time I got put through to Holly and said hello and she hung up on me, then I called back and they put me through to a lumberyard somewhere in America I finally called back a third time and got my money back! Competence has left the country! My order number was W00455413362733. very bad service, I ordered flowers for mothers day to be delivered Saturday 5/7/16. I received ugly, defective and incomplete product. I complained about it immediately and they promise to rectify it Monday 5/9/16 after mothers day and nothing happened too. I called again and they the customer service apologize one more time and promised again, if it will be done who knows mothers day is already finished, they guarantee smile I got heartaches. thank you for that. I had ordered flowers for my mom for mothers day and when we received the flowers they was left between the door and security door the door bell was never pushed to let us now the delivery guy was there and my sister almost tripped over the flower when it arrived it was raining and we didnt know how long it was sitting there if we didnt go outside to the store it would of been there all day. the flowers where the wrong ones and I ordered three balloons not two they new they where wrong and they sneakily left the wrong arrangement for my mother outside. HORRIBLE COMPANY. I would never do busness with them ever again. The absolute worst company I have every dealt with in my life! Wanted to send a get well basket and it was never delivered! I called and sent emails and they sent me back the same standard email every time. They don’t even read the emails you send them. Finally the basket was delivered a WEEK LATER and the card was missing! So they didn’t know who sent the basket!! I will never ever order from them again! ORDER SOMEWHERE ELSE! Morons and idiots, I have emails telling me they do not take orders, asking for information that is already in the emails and a whole lot of no service, stale candy and dead flowers. And for the love of Pete, DO NOT BUY THE CELEBRATIONS DELIVERY SERVICE they are pushing, you will not be able to use it. Just send them $30 it will be easier. All they do is lie to get you off the line and do nothing to fix their screw ups. I have 45 days of lies. What do you call taking money and not delivering anything? 1800flowers!! You should shut the doors this was the most horrible retail experience I’ve ever had, from start to finish. I will NEVER use your service again. It would not be possible to have a worse experience ordering flowers. From your agents that do not speak English….my order was completely incorrect right down to the name of the deceased person, the message I wanted was incorrect and the grammar mistakes were embarrassing…..who doesn’t know to put spaces between words? Your incompetent employees that’s who. I waited over 30 minutes for a superivisor to speak to and even she did nothing to help……she couldn’t even send me an email as requested that the mistakes were corrected…..oh wait because they never were. The flowers were horrible…..what a shock I paid $100 that would have been better spent, had I just set it on fire. I wish I had gone online and read the reviews because there is not positive review and I will be adding my experience to them, plus I will tell everyone I know! Worst company I have ever dealt with. Ordered flowers on 1/29 to be delivered on 1/30. It is now 2/1 with no delivery of my order. This company is full of liars and scammers. I was told my order would be delivered today by 2pm l, and they weren’t delivered then. When I contacted someone about this they said they were on the truck for delivery. Again more lies, because my mother never got her flowers. This comment is so true. Bunch of Lairs and idiots work at flowers.com. I am trying to reach supervisor but he/she doesn’t wanna speak to me. Trying to reach corporate but they keep transferring me back to 1800 idiots work at flowers.com. The worse company in the world.The very poor quality of roses that can be found made their way to my door on the 12th,here we are the 17th and cant’t get a solution.I’m sure they have their money why bother.I will never ever use them. I think there is seriously something very wrong with EVERYONE who works in this company.I have never had a more TERRIBLE and unacceptable experience in placing an order….and I mean ANY order. I called yesterday morning at 9:30 AM to order a SYMPATHY BASKET. I said it needed to be delivered yesterday. I was first told that it could not deliver same day so I said thank you anyway, I will have to call someone else and hung up. The person then called me back in my office 10 minutes later and said she found a (candy) arrangement that could be delivered and took all my information. At 4:30 yesterday afternoon I received a call that it could not be delivered and would be delivered the next morning. I asked to speak to a supervisor and was told the supervisor (I guess there is only 1) was busy and was left on hold for 20 minutes at which time I hung up, called again,and waited again to speak to a supervisor. I FINALLY got someone who CLAIMED to be a supervisor named named Pamo??? and again wasted my time on the phone, told me she was so sorry, and the order would go out the next morning. I asked her to confirm this, and she of course, put me on hold, and said she ACTUALLY CALLED THE FLORIST TO CONFIRM DELIVERY for the next morning (I cant tell you how much time I spent on the phone). She actually did not want to let me hang up until I assured her she satisfied me, no matter how many time I told her I was not satisfied. Today, I was in meetings all day. I had four messages on my phone from your lovely company, the last of which was from Tony who told me my order was cancelled but would send me a $20 gift card. I then called your company again, was asked for my information again, asked for a supervisor and was put on hold AGAIN. This time I spoke to Tony, Adam and Kyle to no avail. Now I am told my order will be sent tomorrow at no charge. I find that hard to believe. I’m sure I will get charged for my imaginary delivery, but will call my credit card co.to to make sure that I am not charged. I then asked for your corporate # and was given 800 755-7474 which was answered by Kim (who was actually the only person in your company who sounded competent) and told me there is no corporate #, I had reached a call center (what a surprise). Kim was actually very helpful, she did try to accomodate me and send something to the bereaved person who did not recieve the gift,, but honestly there is a small window of opportunity to send something to a bereaved family, and that time has passed. I wish I had read all the comments on this site before placing my order for my imaginary delivery. Needless to say, I will never use this site again, and will tell EVERYONE I know about my lovely experience.I think someone should compensate me for the 2-3 hours I wasted on the phone rather than doing my own job……. I been working at cheryls warehouse in Westerville for 2 years 18 months as a seasonal worker and just got hired on. THIS company is by far the worst company in america to work for, they don’t give a XXXXX about their employees, u walk thru and ask anybody do they enjoy working thier EVERYBODY SAYS HELL NO. They only give raises once a year and that’s only if they feel like it which isn’t much its only .10-.25 once a year. Their was a time that all the employees went 3 years without a raise. They over work you, their rude, the pay is below poverty, I can’t even afford to pay my bills. No one has been coming up their to work because they heard about the place. SO YOU GUYS THINK THAT YOUR ORDERS ARE MESSED UP, WELL THE WHOLE COMPANY IS A PIECE OF XXXXX. Let me add that 1800flowers Contracts with a company to do their customer serVice. The training is HORRIBLE and on the most antiquated system I’ve ever seen in 30 years of working. Basically they tell you to do your best andyou’re on your own from then on. There’s one to answer questions or help you fix anything. That goes for the Social media as well. It’s all contract employees that are paid $9/hr to wah. I worked for the contractor to make some extra holiday $…not bc i have to. I’m an extremely educated, qualified retired business professional and this Contractor is a terrible unorganized mess of a business. I can’t believe 1800flowers stays with them. It has to cost them a fortune in replacements and refunds not to mention the loss of customers from bad experiences. SMH. I ordered a basket of flowers from 1800Flowers.com that came from a local florist. They were delivered a day late to my mom and the arrangement looked nothing like what I had ordered. In fact, only one flower in the arrangement was the same. I found out when speaking to a customer service rep that 1800Flowers.com uses A PASSION FOR FLOWERS and that they are the only florist in their network for South Baldwin County, Alabama. The rep said she was getting a lot of complaints about them and another lady in our office also had a similar bad experience two years ago from 1800Flowers.com using them. But, they continue to use this florist who is incompetent and not reputable. I have been ordering from 1800Flowers.com for work purposes but I have lost my confidence in doing so. How am I to know that there are not similar florists in their network that they also know is doing a terrible job but keep using them? I cannot risk sending flowers to clients that look pathetic. My daughter ordered flowers thru this company,, my daughter had picked out beautiful big arrangement of flowers in a nice big cup that stated something nice about mothers,, and was charged good money for it,, i live in minnesota and my daughter in oklahoma,,, well it was delivered a day before mothers day,,, i happened to take a pick of it and sent it to her,, needless to say my daughter was zoo upset,, it was not the arrangement she picked out or paid for,,, it was horrible with opened roses and wilted,,, small arrangement and in a ugly little green cup,,, nothing my daughter picked out!!! very unhappy and upset!! mothers day comes once a year,, and when customers pay big money for an arrangement thats what they should get!!! 1800flowers excuse was that they ran out of stuff,, wow!!! how th hell do you false advertise stuff and charge big money for it and then take it upon yourself to send crap to family members!!! 1800flowers never even bothered to notify my daughter to let her know they ran out of what she had picked out,, 1800flowers just sent crap they put together as they wanted!!!!! such fraud!!!! when i called three times for a cooperate number three different agents denied me the number!!! never again will 1800flowers be on my list of flowers,, i will go thru FTD!!!! 1800flowers don’t still money from paying customers and charge them for an arrangement that was expensive and then send out crap thats nothing that a customer orderd,,, they got caught because i took a pic of it to send it to my daughter,, and thats why they think returning partial of the money is going to make it better!!! we are paying customers thats how 1800flowers make a living and get paid!!! from us customers,,so don’t do fraud with the customers!!! i see theres a lot of dissatisfied customers!!! as i read these comments!!! 1800flowers has lost mine and my families business!!!!!! I placed an order over the phone with a live person as I was having trouble trying to place an order online based on the destination zip code. I am a Director of HR and I was placing an order for flowers for one of my employees who had lost her brother and was travelling to Carson City, NV. I gave the name of the wife, the deceased and the address, the time and where to deliver. Please note the order was placed way in advance (over 4 days). I left my direct contact name, company, and phone number as I had placed this the card of my President. At no time was I given a call or an email as to any issues. I had to find out when my employee returned to work as she had not said thank you for the flowers that there were not flowers received. I had to call to follow-up and mind you I had two other recent employee deaths, and another employee who was hospitalized for surgery among other things with a hectic workflow going on. I find out upon calling that there was an issue with delivery and they could not locate a florist to deliver to the area and that the order was cancelled and they could not fine a phone number, etc. Then when I explained the situation to a helpful Pamela who took all my information and then sent out an email confirmation that the order was being shipped at no charge. I then receive a voice mail from Pamela that they were not able to deliver again. I try calling back and ask for Pamela but am apparently not able to get her and am speaking with a women who does not speak clear English and I have to repeat myself over and over upset but clear and calmly as it appeared that the call was out of the country with the speaker who did not appear to be of native English tongue. After I gave her my information and new order number she apparently had not referred to any notes because I had to repeat the entire scenario again. Then I was disconnected. I called back and spoke to another women who spoke clear English and was understandable (thank goodness) who informed me that they would not be able to deliver and would have to refund me. When I asked to speak to a supervisor, whose name was Frank or to leave my information and obtain a phone number, I was refused and left on hold for quite some time with constant apologies over and over in an attempt to be transferred. It was clear that this Frank person did not wish to speak to me and was finally told by the person on the other end that they could not make the delivery. I am still awaiting an email of my refund which I had to of course requests. When asked to have a phone number to Corporate to complain I was told they did not have that information. Talk about horrible, horrible service. What an embarrassment to our employee and what terrible service from 1-800 Flowers. I will never do business with this company again. I had a small hiccup just the day previous from placing this order because we had an employee close relative loss and no follow through at all. This is unacceptable. I will now do business with Teleflora. This is not how you treat customers or run an efficient business. Seems like you received the same horrible service, run around and poor unprofessional ism service like we did. The customer service reps were rude and condensending. To have seen the business on undercover boss I know the CEO WOULD NOT ACCEPT THE SERVICE WE WERE HANDED! We plan to contact the hire ups district managers on up to Mr. McCann. i totally agree!!! they did the same to us!!! they should go out of business!!! their a worthless fraudulent company!!! who the heck doesn’t have a cooperate number!!! yes i m taking my business elsewhere too!!! I am so upset and embarrassed, I placed two separate orders for two separate days. The first one ordered for one of my friends was the 24 red roses in a Waterford vase. They were supposed to be sent to my office, in my name, to be given to a friend for a wedding gift at a surprise shower. Some of her other friends and I were going to go in together and buy her with a Waterford crystal vase but I had seen this vase w/ the 24 roses at 1(800) flowers and told them about it and they all chipped in. I called 3 days in advance and was assured they would be there on Wednesday, 4/7/2015 by 2pm, when we were having our surprise luncheon for her. At 2:30pm they had not arrived so I called the 1(800) flowers number (which is outsourced and not in the United States), but I once again was assured they would be delivered but this time I was told by 5:00pm via UPS. I was upset as this was so carefully planned but okay fine, at least she would get them on the right day. Well, you guessed it, they were a no show and we were in the office until 8pm. I called “customer service” (again, not in the U.S.) this morning and told them what happened and I am told “Oh, I am sorry, let me check on where your order is.” I gave her the order number and the woman puts me on hold and then comes back with the wrong information! She pulled up the information for my second order set to be delivered on 4/9/2015 and says “Oh ma’am, you are wrong about your order, you did not order the ………………., you ordered the………………and it is not set to be delivered until tomorrow”. I go through the whole story and once again give her the order number. She puts me on hold a second time, comes back and says she can’t find my order. So, for a 3rd time I explain there are 2 orders for 2 different items and I am giving her the correct order number. I repeat the number a 3rd time and she says “Oh ma’am, I got the wrong number, let me check again”. She comes back after the 3rd try and tells me there was a problem with my order so they cancelled it!” Really!!! Okay, I gave them 2 different phone numbers to reach me, plus my email addy. Why the heck would they ask you for a phone number(s), or email address, if they are not going to contact you if there is a problem? She could not answer that question! I asked for an immediate refund of my $120.00. She proceeds to tell me she can just “re-submit” my order and it will be delivered on Monday, 4/14/2015 – by 2pm! Really!!! I explained that this was for a “special” occasion and getting it a week later would not help me. She offered to have it sent today but it would be an additional $65.00 plus tax and $2.00 for delivery today! Really, you mess up my order and then “offer” to have it delivered the next day but will charge me a total of $73.00 more! Could I have given it on another day, sure but that was not the point. I again said “just refund me for the purchase” She then says “well, if that is what you want ma’am, I will have your money refunded but it takes 5 to 7 business days. If you will just keep your order, I will give you a 20% off coupon for your next purchase.” OMG, really! You charge my c.c. immediately, mess up my order, want to charge me extra to fix your mistake and now I feel like you are trying to push me into keeping the order w/ a 20% off coupon for my next purchase!?! I told her no and now I want to cancel my second order, set to be delivered tomorrow, and she tells me it’s too late and I cannot get a refund on that order as it has already be shipped and since there is nothing wrong with it (that we know of) she cannot refund the money for that order. 1(800) flowers have put me in such a difficult position. I am devastated, embarrassed, and upset. I feel like I let down the other girls as this was my part of the surprise shower and I let everyone down. I like a heel because we had no gift for our friend yesterday. I had to give the other girls their money back, rightfully so of course, since I had no gift to show for their money, while I have to wait 5 to 7 days for my refund. I recently send my gf happy birthday flowers . After calling several times and having two different customers service employees couldn’t help me and had no idea what they were doing . I finally got a supervisor . I advised her that the flowers I ordered look nothing like the flowers my gf received . I was highly dispointed .all I was offered was a 20 dollar credit after spending over 100 dollars . I never also received a email confirming the order was delivered. All the promises 1800 flowers makes , didn’t evem come close . I willnt recommend 1800 flowers to anyone if this issue not satisfied . Highly disappointed in this flower company and website . In ref to order #: 130694381. I was notified of the passing of my close friend’s mother earlier this week and I had placed an order with 1-800 flowers over the phone with my POC: Christine to have a floral arrangement delivered to the funeral home on Thurs (12 Feb) between 3pm-5pm. I had checked the status online earlier that day and it read that the delivery status was “in status”. I checked with the family later, and they said they hadn’t received any flowers from me, so I went online again and the status read “N/A and Exception Found”, which confused me, so I called 1-800 flowers and talked to my POC by the name of Shyn and she said she’s confused on what that status meant and that they received no confirmation from the local florist that the delivery was made. She stated that someone at 1-800 flowers would call me back the next day (Fri,Feb 13) with an explanation. Well, I never received a call back, so I called 1-800 flowers again…made 3 attempts. On my 3rd call, after waiting approximately 40 minutes to get through, I reached a POC who I believe said his name was Berry, but he had a strong accent. I explained the situation to him, and he said he showed my order as cancelled. I asked why it was cancelled, and he put me on hold to talk to his supervisor. I asked to speak to the supervisor, but the supervisor never came to the phone, but Berry did. He then said to me that he called the florist shop that was to deliver the flowers and they said they were delivered. I then told him that they weren’t delivered because I received a message from my friend this morning (Feb 13) that they still hadn’t received the flowers. Berry decided to give me the phone number to the flower shop for me to call. I called the flower shop and talked to a POC by the name of Cindy. Cindy said they received the order from 1-800 flowers, but then sent a rejection back to 1-800 flowers because their shop was too far away from the funeral home of which the flowers were supposed to be delivered. Cindy said that 1-800 flowers should’ve found another/closer florist at that time, and if they couldn’t, they should’ve notified me, which they didn’t. I thanked Cindy for her time and honesty. I must say now that I’m really upset, sad, and disappointed with 1-800 flowers’ lack of customer service in this situation, and the fact that the POC Berry lied to me and said they were delivered. Also, I gave Berry my cell phone # and he was supposed to call me back, but he didn’t. This is one of the worst customer service experiences I’ve ever had to deal with…especially being lied to. My friend, whose mother passed away, and his family, never received the floral arrangement I ordered to show my condolences and this really hearts my heart and is embarrasing. I will more than likely never used 1-800-flowers service again due to this incident, however, I would appreciate a call back. I called 1-800- flowers and placed an order to be shipped out Friday . Without any contact , they changed the delivery date to Thursday . Totally ruined the surprise. I spent my money to be delivered on Friday not Thursday. VERY unhappy customer here! I recently placed an order for my mothers birthday. I picked this beautiful arrangement what included all the fall colors with the mail flower int he arrangement being birght yellow sunflowers, orange roses, and beautiful orange lilies … arrangement was called Fields of Europe…. My mom get the flowers and she is non the wiser. She just knows she recieved an arrangement not what i actually ordered. She send me a pic of her with what she recieved and low and behold… Not one flower in picture on line “Fields of Europe” was in what she recieved. So I paid and arm and a leg for a bouquet that can be purchsed at walmart for 7.99 in a cheap 1.00 vase. What she received was gerber daisy’s and 2 lillies. Where’s the sunflowers, that main attraction. Where are the roses the beautiful fall fillers. Imagin my disgust when i saw what she sent me in her picture. I called to complain and a rep assured me someone would pick up the disgrace that was dropped off and send a new order of what i ordered… Of course it was picked up by the losey flowrist that was contracted out and nothing was brought back in return. So my mothers birthday gift was signal handedly ruined by the very company who is supposed to be inthe business of customer satisfaction. I then called to complain again to be told the first rep shouldn’t of said a replacement would be there same day that it would come the next day to which insulted my intellegance… why would i want flowers for someones birthday the day after thier birthday… do you send flowers to a funeral the day after they are buried?… If they couldn’t make it right the same day they should of refuned my money the same day!… The florist, i think, figured the receiptent doesn’t know what they are getting so let’s just send them anything and they are none the wiser…. and I think that a XXXXXty thing to do when someones spending their hard earned money to make someone special to them happy for their day! On Saturday, August 23rd, I placed an order for the above arrangement to be delivered to a dear friend who was in a local hospital. I deliberately chose an arrangement that was supposed to be available for same-day delivery, and placed the order prior to the cut-off time for same day delivery. Later that day, I received a phone call stating that the delivery could not be made that day because the florists’ delivery truck had already left. I gave instructions for the flowers to be delivered on Monday, August 25th. On Monday, August 25th, I received a phone call informing me that the florist did not have any pink roses (the order was for six pink roses in a square glass vase). I called back and gave instructions that ANY color roses would be acceptable; I just wanted the flowers to be delivered. On Tuesday, August 26th, I received ANOTHER phone call, advising that the florist had NO roses available for delivery. What kind of a florist has no roses? On Wednesday, August 27th, I called back to cancel the order. I was told that my money would be refunded within 3-5 days, and that an arrangement of some sort would be sent to my friend. This is all very well and good, but is not the arrangement I asked for. Further, I was told that the flowers would be sent in a box, but that, because of security, the hospital might not accept the box. When I asked the name of the local florist, so that I would not patronize that florist in future, I was told that it was against company policy to reveal that information. I have used your company before to send flowers, and always was pleased with your service. Needless to say, I will not be using 1-800-Flowers in future, since this debacle is absolutely untenable. And I will be watching carefully to see that my money is, indeed, refunded. I will also be sharing this on Facebook so that others can take heed of my experience. I wish I would have saw these comments prior to ordering, I wouldn’t have wasted my time! I ordered a flower arrangement for my mom who lives in Cleveland, TN the arrangement was a poodle in flowers (all made out of flowers) in a basket.. My mom was injured and I thought this would cheer her up. It was fresh, cute and original. Long story short after entering her zipcode and address I commenced the order for next day delivery. Next day never came!! I came home to a ton of messages from the many different CSR’s saying “NO FLORIST LOCATED NEAR MY MOM CAN FILL THAT ORDER NOT TODAY, NOT IN THE NEAR FUTURE, CAN’T BE DONE NO-ONE HAS THE FLOWERS!” They could however send a bouquet in a vase in place of… sight unseen so they could deliver that day for the same price….$65.00 No thanks. I called back asked to talk to a Supervisor since the few I talked too couldn’t understand me nor could I really understand them… I speak ENGLISH! I asked the Supervisor if Chatanooga could fill the order, He said “your credit card has been credited right now instead of 3-5 days no need for me to check.” I said excuse me?! Really?! Goodbye 800 Flowers! Never will I ever do business with you again! Don’t set your sights on anything they really show, since you will probably find they don’t have it nor will they send it, nor will they extend themselves in anyway to try to get it for you! It’s called false misrepresentation! Not a company I will do business with. FTD did a great job! The flowers are more beautiful in person then online and they were quite beautiful in the pic., delivered on time and a great price … the only communication I received was a delivery confirmation! Thanks FTD! Unfortunately, I am reasonably sure that this email will never find it’s way to the founder of 1800flowers. However, I myself managed a major transportation facility in New York City for many years and we always stressed the importance of customer complaint letters and I was hoping your company followed this same key management principle. I am extremely frustrated with my most recent encounter with your organization, and if my experience, and that of my son who also made a recent purchase ( or attempted to ) with 1800flowers is any indication of the direction your business is going you are in extreme trouble. On May 4, 2014 I placed an internet order for flowers to be delivered to a family member recovering from open heart surgery. When those flowers were delivered they looked nothing like the picture depicted in the web site so I wrote an email of complaint.My records indicate that the order number was 124234793. The response to my email began with an apology and an offer to resend the flowers, which I agreed to. The flowers were never sent, so I wrote another email and again I was promised a re-delivery that never occurred. So, since I was now becoming obsessed with this horrible customer service I wrote yet one more email and this last response really sealed the deal on the mis-management of your company. At 12:01 AM on May 18, 2014 I received an “ I’m Sorry” email signed by Jim McCann, founder of 1800Flowers for my recent encounters with with their service. Included in that email was a savings pass in the amount of $20 that had to be used between May 13-15, 2014. MY VOUCHER EXPIRED 3 DAYS PRIOR TO MY RECEIVING IT! Are you kidding me? Now if you think this may be an isolated incident consider this, On May 8, 2014 my son, who does not live in my household ordered flowers for his grandmother to be delivered either on Saturday, May 10 or Sunday, May 11 (Mothers Day). They were never delivered, the account indicated they were delivered and he had to go through a high mass to get a refund of his purchase. I ordering flowers on Friday May 9th, requested same day delivery and received a email Saturday morning confirming delivery. On Mother’s Day, I naturally called my Mother to wish Happy Mother’s Day and to see how the flowers look only to find out they were never delivered. This is a significant blunder by you, management and the owners. Of all the days to let down a elderly widow who happens to be my Mother is shameful. I spoke to customer service, who thanked me for calling and how sorry she was at least 10 times for calling. After 10 minutes of being thanked and placed on hold, I was informed the your incompetent florist was closed today. UNRESOLVED! What must be determined at this point is the question – what is Company going to do for my Mother. A special day has come and gone and I remain disappointed, frustrated and feel very bad for my Mother who was alone today an no flowers from me. I ordered flowers for Mothers day. I scheduled the delivery for Friday May,9,2014. I received a confirmation email. I spoke with my mother today, she said she did not receive the flowers. I called 1800flowers. I spoke with supervisor named Tyler. He stated that they did not get the flowers out because they were just so busy. He said they are going to deliver them on Tuesday. I said no,I wanted them delivered today.Not Tuesday. It’s not the same. Mother is very old and it may be her last mothers day. I may not be able to ever send her flowers to receive on mothers day again. The supervisor didn’t care. I said just refund my money. Thanks for nothing! Want to make sure 1-800-Flowers sees your comment or complaint?